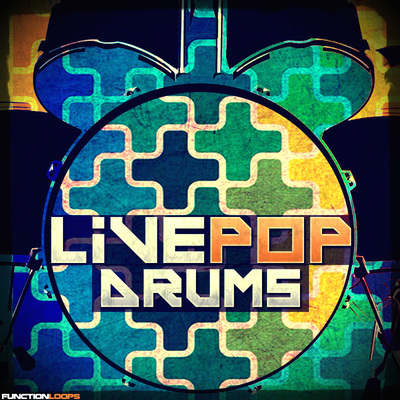 Looking for Percussion Loops & One-Shots? You are in the right place. After breaking the charts with previous volumes, Function Loops strikes back with a brand new "Percussion Only" volume. This time its bigger then ever, including over 600MB of pure percussive content and 703 files in total! 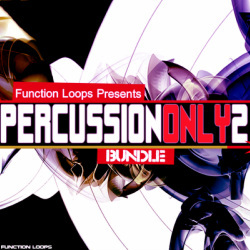 -278 Percussion Loops (ranging from 120-126 BPM). -425 One-Shots (85 Percussion Shots, 160 Kick Shots, 60 Hihat Shots, 50 Clap Shots, 70 Extra Shots). 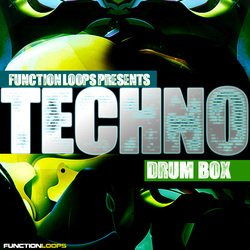 This super pack was compiled from sample packs such as: "Scary Percussion", "Deep Under", "Layered Kicks 3", "Pure Tech Kicks", "Layered Percussion 2", "Layered Claps", "Layered Hi Hats" and more. 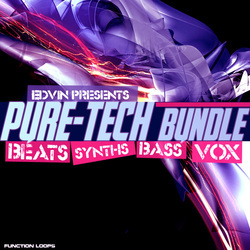 This pack is suitable for Techno/Tech-House/House/Deep House/Deep Tech and beyond. "Percussion Only 3" is a one-stop solution for drum loops and shots, after purchasing you will be fully loaded with some top-notch tools. Enjoy! 425 x WAV One-Shots (85 Percussion Shots, 160 Kick Shots, 60 Hihat Shots, 50 Clap Shots, 70 Extra Shots).